Silverberg, Robert. The Gate of Worlds . Magnum 1980. What if: The Black Plague of 1348 killed more than half of Europe, leaving it defenseless before the invasion of the Ottoman Turks. 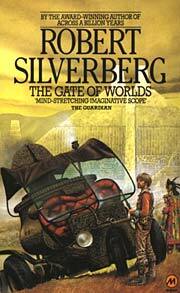 Series note: Short series which includes Silverberg's The Gate of Worlds and three stories collected in Beyond the Gate of Worlds . Silverberg, Robert. The Gate of Worlds . Tor 1984. 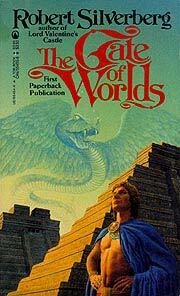 Summary: A young man from the Turkish backwater of London seeks his fortune in 1960s Aztec North America. Published: Holt, Rinehart & Winston 1967 (0030637708); Gollancz 1978; Magnum 1980 (041704710X); Tor 1984 (081255454Xw88 android, 0812554558w88 androidBUY), 1993 (0812514394BUY); iBooks 2005 (1596871571BUY). Translation: French by Annie Saumont as La porte des mondes , R. Laffont 1977, Presses pocket 1982 (2266011030), Pocket Classiques 1999 (2266088432). Translation: German by Thomas Ziegler as Auf zu Hesperiden! , Knaur 1982 (3426057522). Silverberg, Robert (ed.). Beyond the Gate of Worlds . Tor 1991. Summary: Short anthology containing three stories in Silverberg's Gate of Worlds, including Silverberg's "Lion Time in Timbuctoo", John Brunner's w88 android"At the Sign of the Rose" and Chelsea Quinn Yarbro's "An Exaltation of Spiders". Silverberg, Robert. "Lion Time in Timbuctoo"
Summary: Diplomatic intrigue is rife as the Emir of Songhay lies dying. Series note: A Gate of Worlds story. Published: In Lion Time in Timbuctoo , Axolotl 1990; Isaac Asimov's Science Fiction Magazine , October 1990; Beyond the Gate of Worlds , Tor 1991 (0812554442); and The Way It Wasn't: Great Science Fiction Stories of Alternate History (ed. Martin H. Greenberg), q.v. Translation: French by Hélègne Collon as "Tombouctou à l'heure du lion", in Le nez de Cléopâtre , q.v. Brunner, John. "At the Sign of the Rose"
Summary: The Tsar of Russia dies under suspicious circumstances; six travelers tell their tales at a Krakow inn. 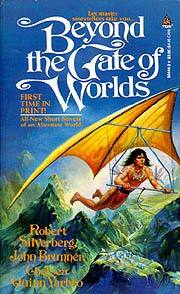 Series note: In same timeline as Silverberg's The Gate of Worlds. Published: In Beyond the Gate of Worlds (ed. Robert Silverberg), Tor 1991 (0812554442). Yarbro, Chelsea Quinn. "An Exaltation of Spiders"
Summary: The True Inca, seeking a solution to possible invasion by the False Inca of Brazil, sends a mission to the Maori nation.